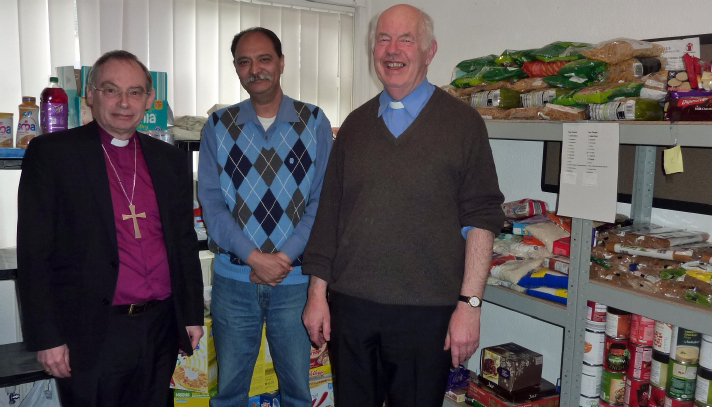 Picture shows l to r: Bishop Richard Pain, volunteer Desmond Gomes of St David Lewis RC Church, and Canon Henry Davies. The Bishop of Monmouth, Rt Revd Richard Pain, is encouraging his clergy and parishioners to put their faith into social action. His call came after he visited the Food Bank in St David’s Church Community House, Bettws, and met volunteers who staff the centre. Bettws parish priest, Canon Henry Davies, explained that the Food Bank is open 1-2pm Monday to Friday and provides an average of three to four food parcels a day for individuals and families. People are referred from other agencies but they can pick up their first food parcel without external referral if necessary. As well as food, staff at the Food Bank are also looking to provide a befriending service, when they have time to chat to people when they come for their parcels. 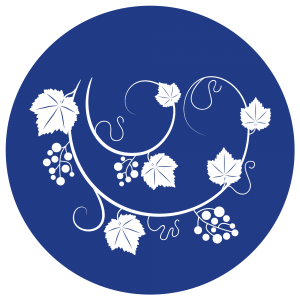 Bettws Food Bank is one of the arms of Koinonia, the Church Community programme which supports community work done by other organisations. It provides the local community web site and the local community newsletter and is organising the summer Bettws Festival. This was posted on 28 January 2014 and updated on 14 February 2014.